The ORP SmartHorn™ Bike Light is first light to integrate sound. Not just ordinary sound, but patented SmartHorn™ Technology that generates two distinct sounds, where riders can alert cars, pedestrians, hikers and other cyclists to their presence with a simple push on the light's tail--another patented technology which is unique to ORP. 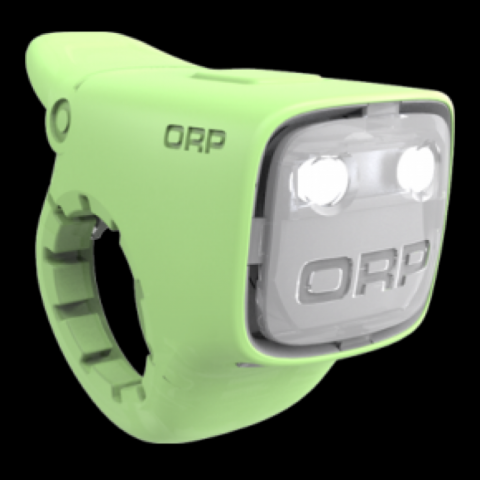 Perfect for all types of cyclists including mountain bikers, who use ORP when rolling up behind hikers and other riders on the trails, on a trail's blind turns, and many other riding situations. Also perfect for kids who will find endless hours of enjoyment using ORP while cruising the neighborhood, all the while staying safer on their bikes.